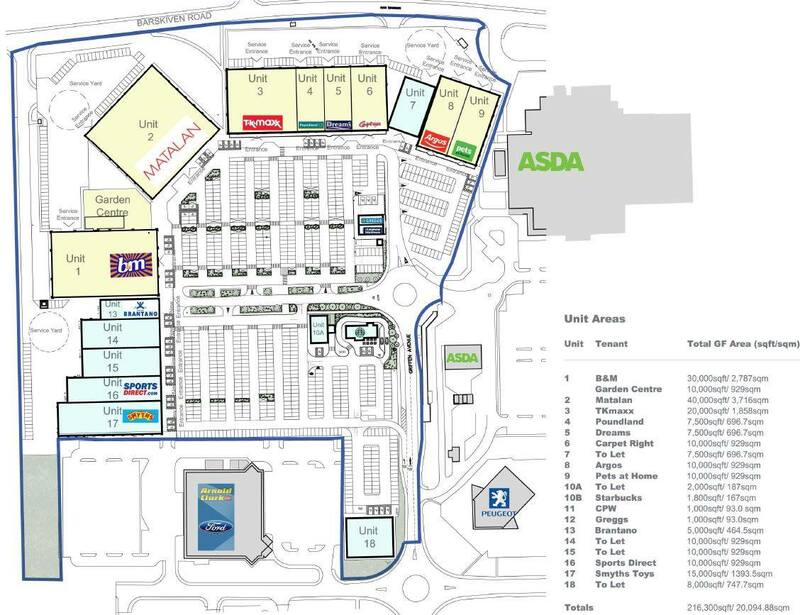 The plan below shows where new units are being built at Phoenix Retail Park at Linwood where Asda, B&M and Matalan currently are. Plans show a Greggs, Starbucks, Sports Direct, Brantano Shoes, Carphone Warehouse and Smyths Toys. Some of the units being built still do not have a tenant as yet, so there’ll be even more exciting new stores to come.